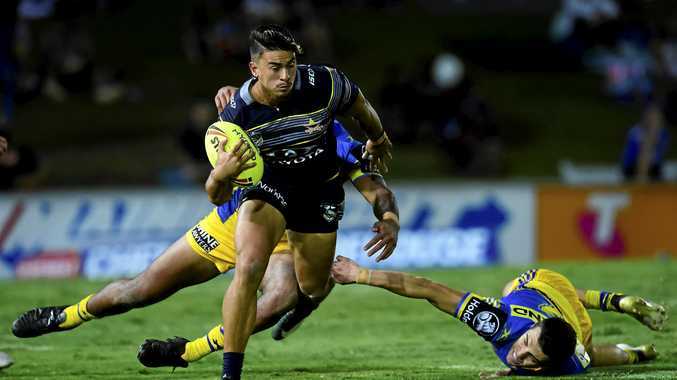 COWBOYS youngster Enari Tuala could be in line to play a final in just his second NRL game as Antonio Winterstein races the clock to be fit should they scrape into September. 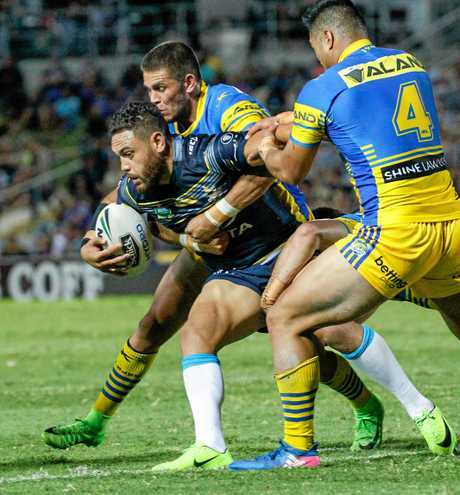 Winterstein played most of Thursday's 20-10 loss to Brisbane in obvious discomfort and could add to an already bulging injury ward that is threatening to rob the Cowboys of a finals berth for the first time since 2010. North Queensland must now rely on either Penrith beating Manly today or Canterbury upsetting St George Illawarra tomorrow to make finals. 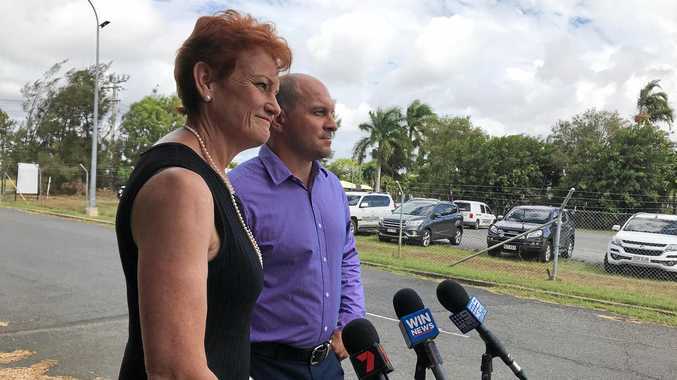 Winterstein's potential loss would be compounded by the unavailability of likely replacement Gideon Gela-Mosby after he was banned for five games for a shoulder charge playing for the Northern Pride in the Queensland Cup last week. Still just 18, Tuala made his debut in round 24 against Cronulla and if he plays finals, it would be reminiscent of last year when fellow young gun Kalyn Ponga made his debut in the playoffs. However Winterstein, who only returned from a hamstring injury last week against Wests Tigers, has vowed to do everything in his power to be fit should the Cowboys still be alive. "I'm not going to rule myself out now, (I'll) just look after the body until then and hopefully things go my way," he said. "I just felt like a passenger out there. I wasn't really doing my job but we would have been a man short (if I came off). "The physios will assess it and we'll see how it goes from there. "We're still in the fight and hopefully things go our way in the next couple of games coming up." The Cowboy are literally limping into September. Their injury list is the worst in the NRL and the likes of Te Maire Martin (knee), Shaun Fensom (knee) and Lachlan Coote (ankle) probably wouldn't be playing if the situation wasn't so desperate. "We're putting the effort in to put ourselves in positions to win games, we just can't ice it," Cowboys coach Paul Green said. "We just need to learn our lessons and hopefully get another opportunity. "It's not my preferred position to be in, but that's where we're at."